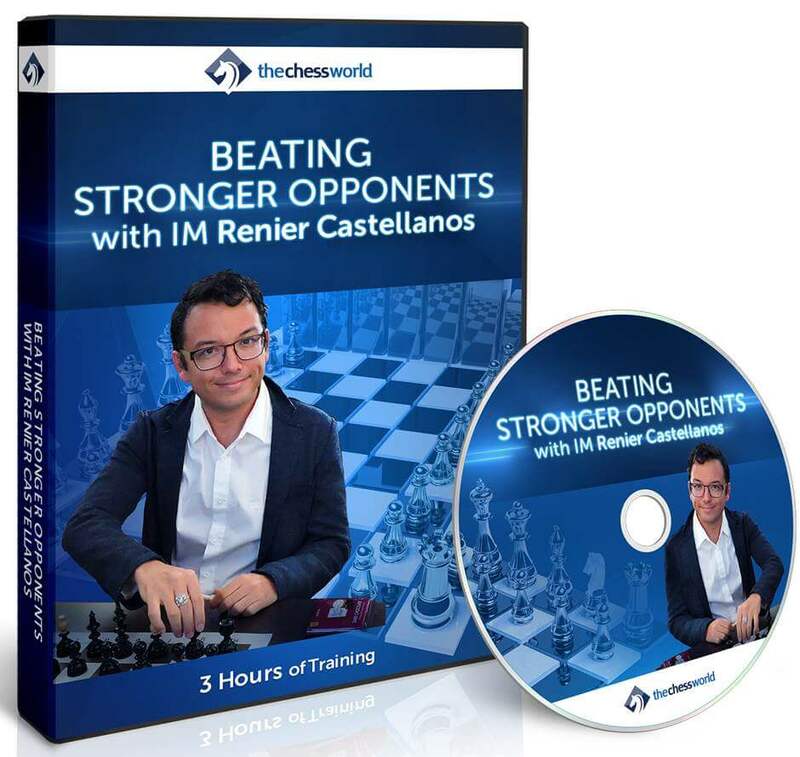 "In this new course, IM Renier Castellanos is sharing his signature techniques of successfully playing against those significantly stronger opponents. 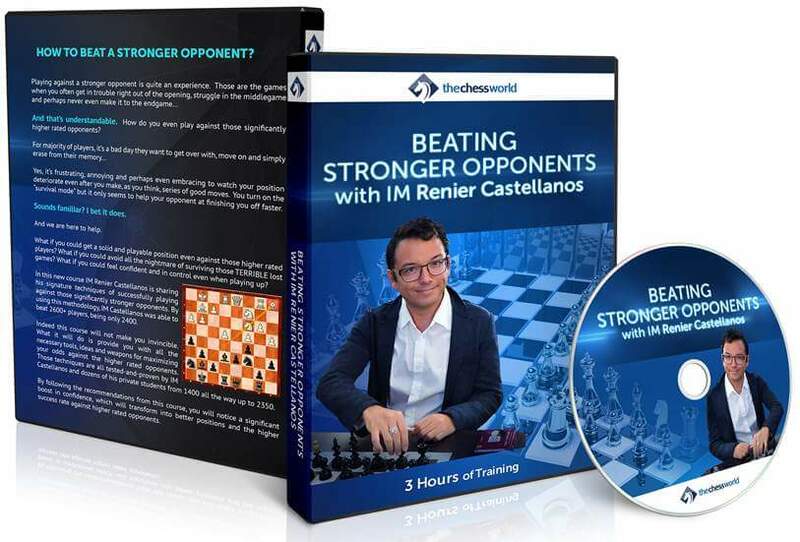 By using this methodology, IM Castellanos was able to beat 2600+ players, being only 2400." And that’s understandable. How do you even play against those significantly higher rated opponents? Yes, it’s frustrating, annoying and perhaps even embracing to watch your position deteriorate even after you make, as you think, series of good moves. You turn on the “survival mode” but it only seems to help your opponent at finishing you off faster. Sounds familiar? I bet it does. What if you could get a solid and playable position even against those higher rated players? What if you could avoid all the nightmare of surviving those TERRIBLE lost games? What if you could feel confident and in control even when playing up? Indeed this course will not make you invincible. What it will do is provide you with all the necessary tools, ideas and weapons for maximizing your odds against the higher rated opponents. Those techniques are all tested-and-proven by IM Castellanos and dozens of his private students from 1400 all the way up to 2350. By following the recommendations from this course, you will notice a significant boost in confidence, which will transform into better positions and the higher success rate against higher rated opponents. How to find the game-saving resources under extreme pressure?